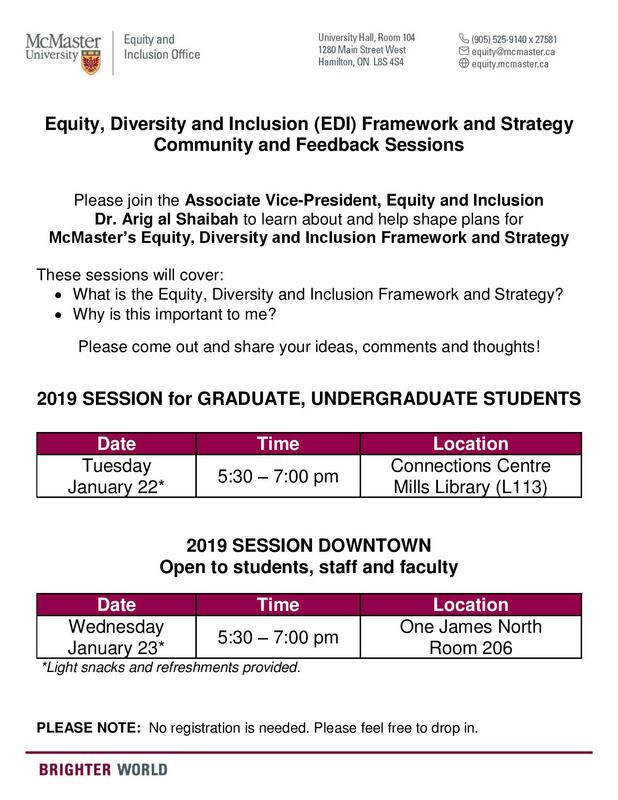 Please join the Associate Vice-President, Equity and Inclusion Dr. Arig al Shaibah to learn about and help shape plans for McMaster’s Equity, Diversity and Inclusion Framework and Strategy. • What is the Equity, Diversity and Inclusion Framework and Strategy? Please come out and share your ideas, comments and thoughts!